This steel adapter plate lets you mount a pintle hook (sold separately) for heavy-duty towing. 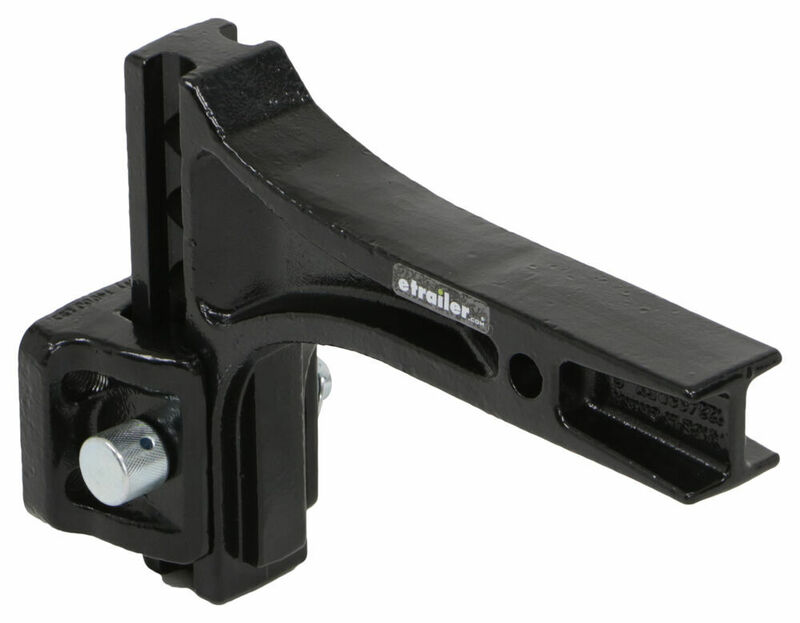 Move the 4-hole mounting plate up or down along the shank to match your trailer's height. Plate can be stowed beneath your hitch when not in use. 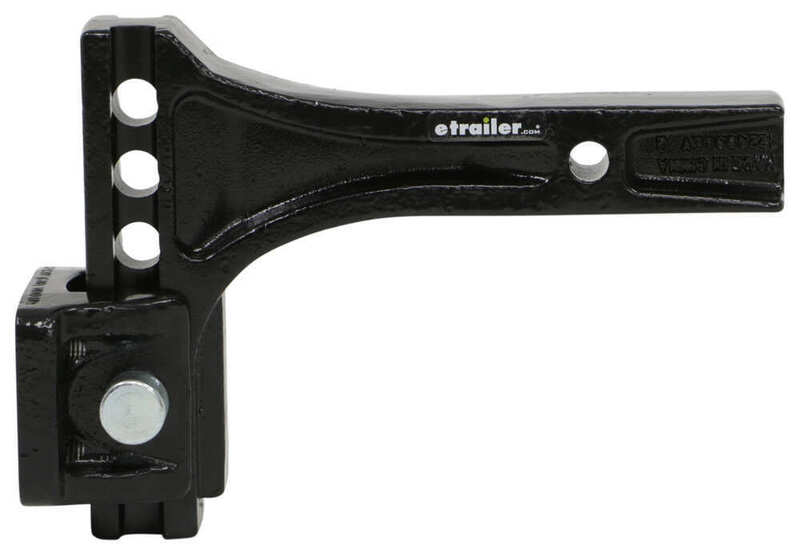 Lowest Prices for the best pintle hitch from Pro Series. 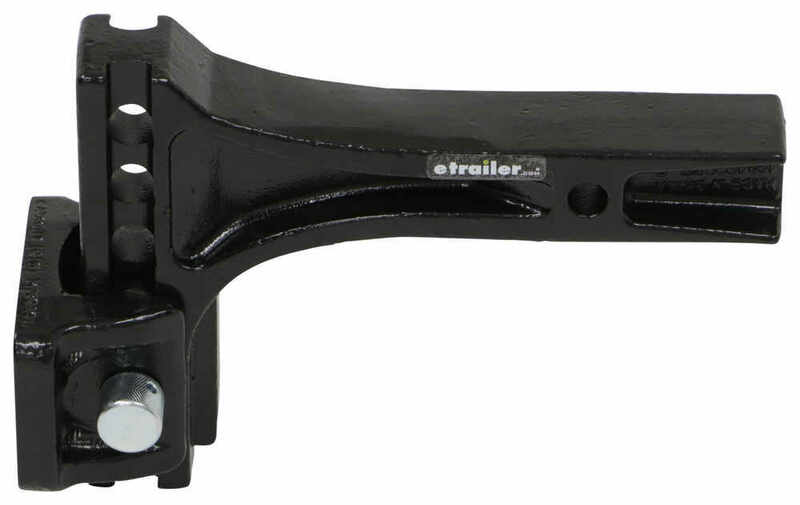 Pro Series Adjustable Pintle Hook Mounting Plate for 2" Hitches - 14K lbs part number 63072 can be ordered online at etrailer.com or call 800-298-8924 for expert service. This steel adapter plate lets you mount a pintle hook (sold separately) for heavy-duty towing. Move the 4-hole mounting plate up or down along the shank to match your trailer's height. Plate can be stowed beneath your hitch when not in use. Distance from center of hitch pin hole to front of mounting plate: 9-11/16"
This adapter plate provides an attachment point for a pintle hook (sold separately). 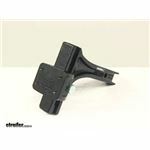 The included shank slides into the 2" receiver on your tow vehicle and has multiple mounting holes for attaching the plate. This allows you to tow trailers of different heights with the same vehicle. To adjust the height, simply remove the pin and clip that secures the plate to the shank and move the plate up or down until the desired height is achieved. When not in use, the adapter plate can be stowed out of the way, beneath your trailer hitch. Just remove the plate, flip it around so that it's under your vehicle, and secure it to the lowest position on the shank. The stainless steel pin is secured with a lanyard so that you won't lose it while making your adjustments. Use this hitch-mounted adapter plate to mount your pintle hook for heavy-duty towing. Great for industrial and agricultural applications. Plate offers 4 sets of holes so you can easily match your trailer height. Powder coated steel resists rust. Order: RelevanceNewestRating - High to LowRating - Low to High This steel adapter plate lets you mount a pintle hook (sold separately) for heavy-duty towing. Move the 4-hole mounting plate up or down along the shank to match your trailer's height. Plate can be stowed beneath your hitch when not in use. 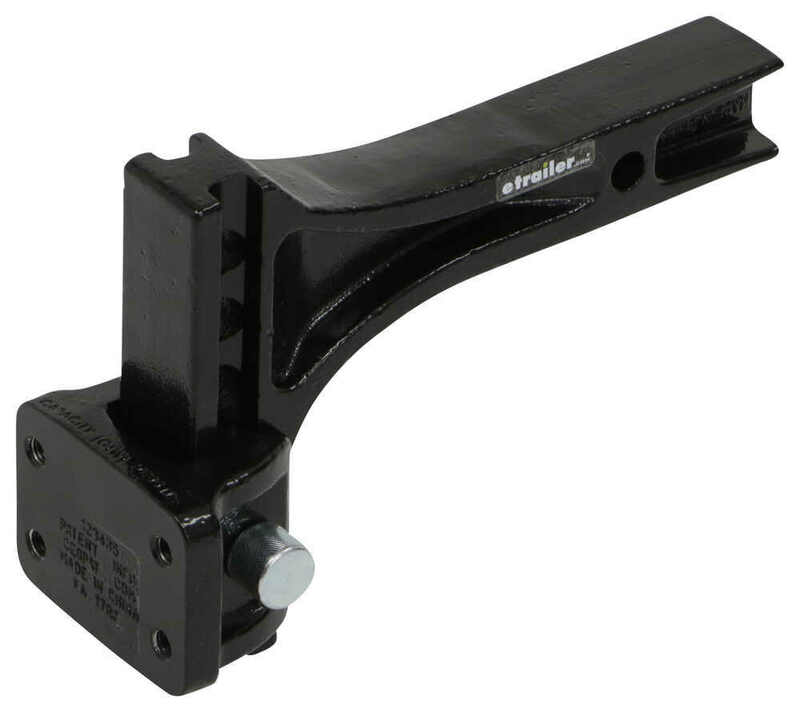 Do you have a question about this Pintle Hitch? I went to the warehouse and pulled the Curt Pintle Hook, part # C48210 and a Pintle Hook Mount part # 63072. I also pulled a Draw-Tite Pintle Hook, part # 63012. All of the parts are interchangeable and can be used together with no issues at all. 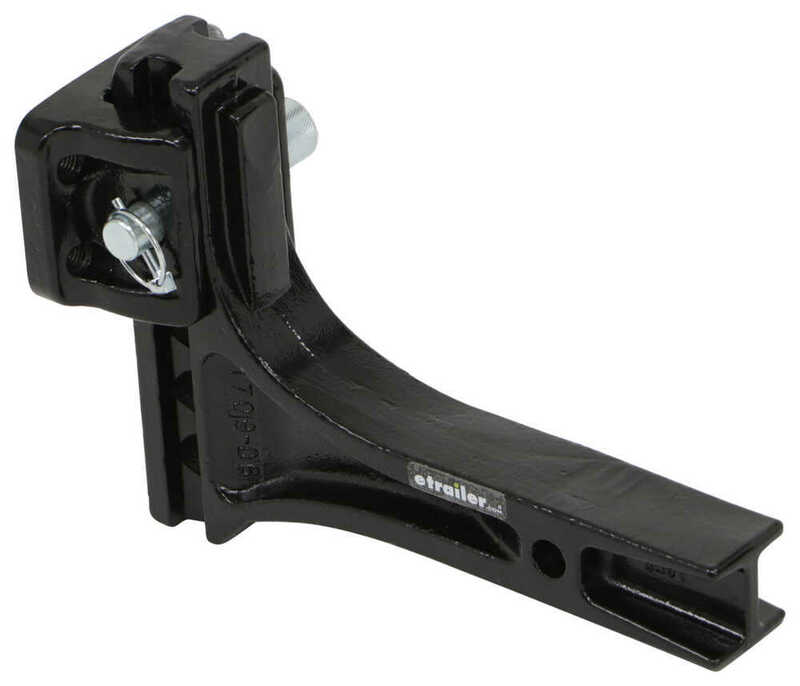 The # C48210 will work well with the Pro Series Adjustable Pintle Hook Mounting Plate, part # 63072. Yes, you can use Convert-A-Ball Pintle Hook Combo # PH1 with the Pro Series Adjustable Pintle Hook Mounting Plate # 63072. I confirmed with my contact at Pro Series that their mount shares the same mounting hole pattern as the Convert-A-Ball Pintle Hook, 1-3/4-inches x 3-3/8-inches on hole centers, as shown in the linked photo. We do offer the part # 63071 that you referenced which comes with a dual ball mount instead of the mount for a pintle setup. We do offer this separately as part # PS63076. This will fit directly to shank your # 63072 attaches to. The Replacement Hitch Ball Platform for Pro Series Adjustable 2-Ball Mount - 14K # PS63076 will be compatible with the Pro Series Adjustable Pintle Hook Mounting Plate for 2" Hitches - 14K lbs # 63072 or can be used as a replacement for the # 63071. The pintle mount that fits on the shank of the Pro Series Adjustable Pintle Mount # 63072 is not available as a separate item, only as part of the complete kit with the shank. I confirmed this with Pro Series. 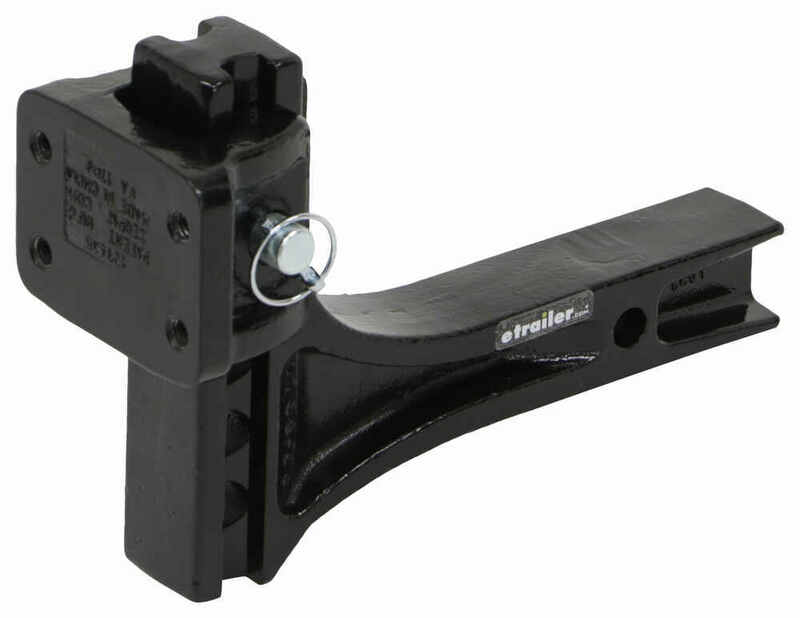 This item can be used with Pintle Hook # 63013, 2-5/16-inch Pintle Hook Combo # 63012 and 1-7/8-inch Pintle Hook Combo # 63010. I linked for you our main page for 2-inch pintle style mounts and related parts. 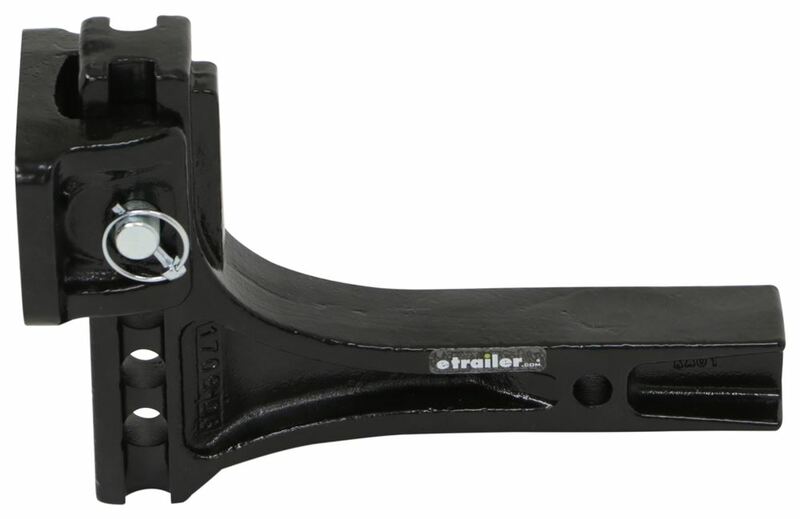 I'd go with the adjustable pintle hook mount part # 63072 and then mount the mount the hook/ball part # 63012 to the adjustable platform so that you can tow the military trailer you have with the lunette ring but then also be able to tow a trailer with a 2-5/16 inch ball if ever needed. Since the shank is adjustable you'd be able to accommodate various height rental trucks as well and still be able to tow the trailer level. Highest quality pintle hitch for the best price. 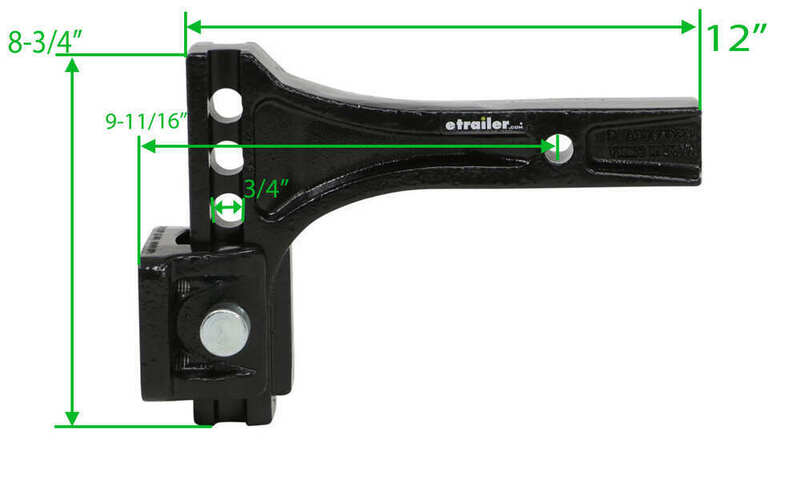 Most detailed, accurate pintle hitch information available.